This week's craft is a fun little contraption that is really easy and inexpensive to make. You will have hours of fun shooting pom poms or marshmallows in the air! 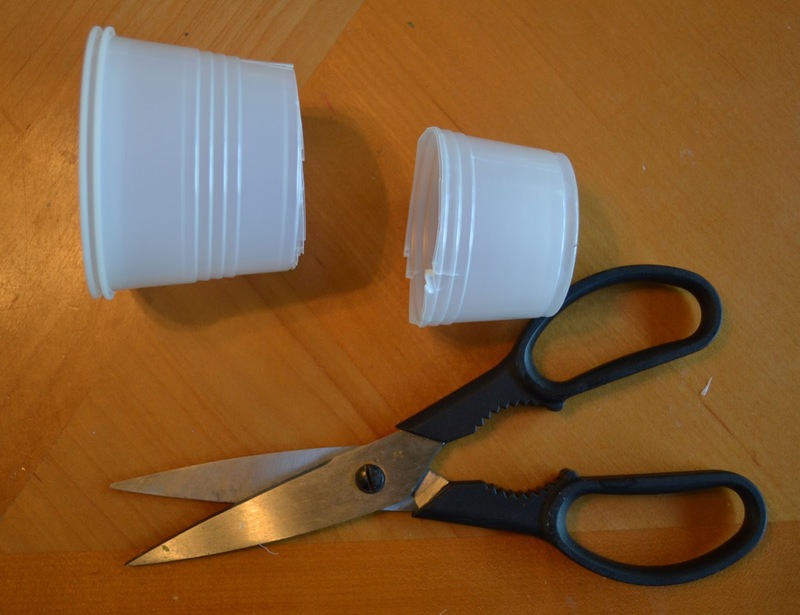 Step 1: Cut off the bottom third part of your plastic cup. If your cups are thin or flimsy, you can double your cups. Recycled yogurt cups also work well! 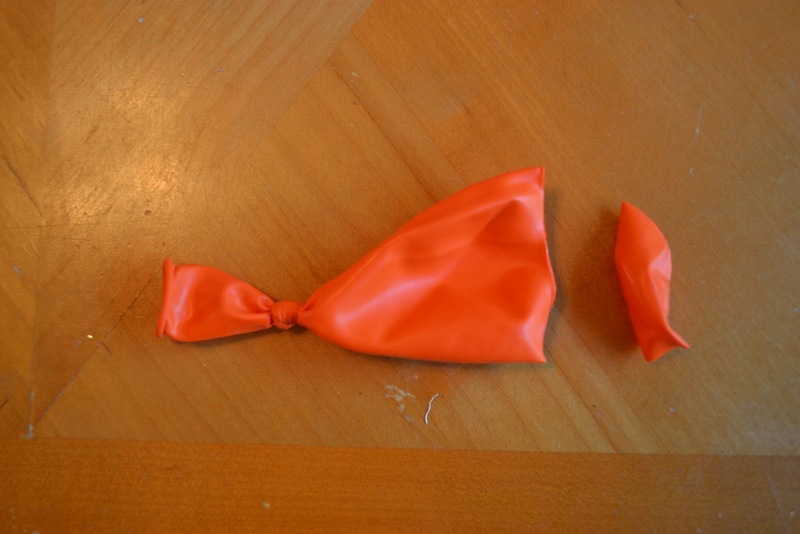 Step 2: Tie a knot at the end of your balloon and cut off about 1/2" from the other end. Step 3: Now stretch the balloon over the lip of the cup. 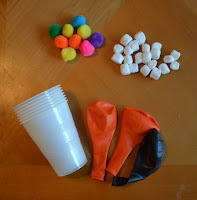 Now you are ready to launch your pom poms or mini marshmallows in the air! 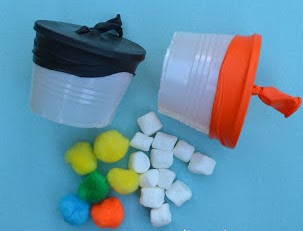 Just put your pom pom or marshmallow inside the cup on the knotted center, then aim the cup away from you, pull back on the outer knot and launch away!